First two ingredients : water + petrolatum = two thumbs-up. Use it year round - in the wintertime to keep dry, flaky skin at bay, and in the summertime to keep your skin smooth for a better self-tan base. Sensitive-skin approved (of course, it's a Eucerin product!). I'm a fan of in-shower moisturizers because the best time to moisturize your body is immediately out the shower, when your skin is still slightly damp. According to the directions, you apply this after washing, and then rinse it off (I don't rinse it off, because this doesn't leave your skin feeling greasy at all - it absorbs really well despite the second ingredient being petrolatum). Don't let the relatively thin consistency fool you - this is a great total body moisturizer. There is a hugely noticable difference in my skin when I use this and when I don't. I can confidently say that you'll notice a difference as well. It's good stuff. 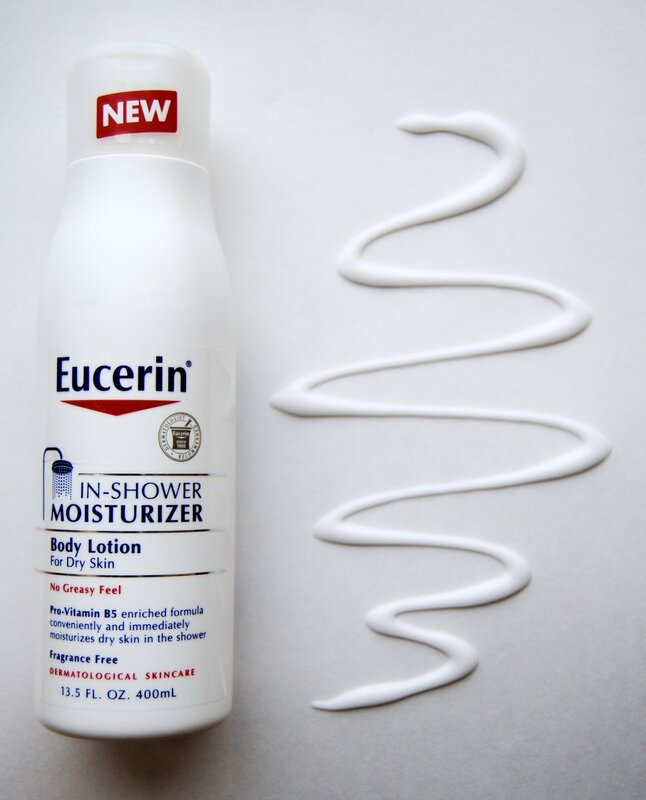 Eucerin In-Shower Moisturizer - 13.5 fl. oz.